Edited by alphatripleplus, 18 March 2019 - 10:08 PM. If only I could read Chinese ! Based on the broken english Google Translate gave me, I think you're right. Edited by suvowner, 19 March 2019 - 02:18 AM. I wonder if it's possible to disconnect and use the USB2 port on the back of the CEM60 mount for the iPolar scope? I never intend on using the USB2 hub on the mount. I removed the polar scope and ran two USB3 cables through the mount so the attachment for the extra USB2 port for the iPolar scope can't be installed. I could just run the additional USB2 cable from the iPolar scope directly out the back with the other USB3 cables. The cable hanging off the side of the PoleMaster has never been something I liked and risks getting snagged during mount rotation. Having the iPolar scope cable go through the mount is very appealing. Now the question is whether it's worth it to upgrade to this or use my already working very well PoleMaster. Is the iPolar scope really better than the PoleMaster? Interested in seeing more hands on demonstrations before pulling the trigger. Edited by HxPI, 19 March 2019 - 09:21 AM. I like these features very much! It seems iOptron offers new products and improved features at a much faster pace than other manufacturers, and many for the better. I appreciate the innovative effort, considering cost constraints and limited market. Edited by HxPI, 19 March 2019 - 07:50 AM. I read the first light review, looks like very easy to use. Cool. dang you. I may have a pole master for sale in the classified's pretty soon. the cem60 internal option is very attractive. I mus admit, that I'm a bit skeptical about the accuracy, given it's wide FoV. When adjusting the pole and it close to the rotating center, the screen automatically zoom in perhaps 10X. It Does!! Here is a screen shot. Looking at the manual, it appears that the general idea is that you rotate in RA to calibrate the unit. I assume that means to quantify the cone error. After that, you don’t have to rotate to use the device since it uses this calibration info, plate solves, then determines the PA error and what adjustments are needed. Therefore, any results are dependent on the calibration being good and can be no better than the calibration error. Also, it seems a bit disingenuous to say that you don’t need to be able to see Polaris. 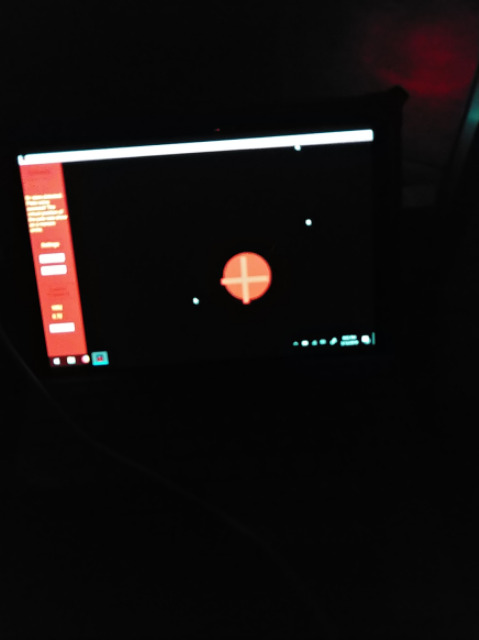 It seems that if the red dot is the true pole, given the field of view of the device, Polaris would be in the field of view. I guess technically Polaris isn’t needed, but, as I wrote, it seems disingenuous. Am I missing something? Most people who say their telescope can’t see Polaris really mean it can’t see the celestial North Pole. One thing I don’t like about this approach is that if the unit is jarred out of place, and it won’t take much, any results after that are wrong, and it won’t be apparent. Remember, 30 arcseconds is a basketball diameter at a mile. With SharpCap PA and PoleMaster, I think there’s less likelihood of not seeing that there’s an issue, since you are effectively determining the cone error every time you use them. Also, on any of these devices and software, such as SharpCap, PoleMaster, or this, you shouldn’t take what the device/software gives you as an error as truth. You need independent confirmation through something like drift alignment to determine the true error. As I’ve written before, I have some cheap plastic calipers with a digital readout that appear to have 10 micron accuracy. I don’t believe them. I own a CEM60EC and am very happy with it, so don’t think I’m an iOptron basher. I’m willing to consider buying this, but I’ll need more convincing. Edited by johnsoda, 31 March 2019 - 08:13 AM. 30 arc seconds is same as polemaster ........which is proven performer. with this units being mounted internally to the cem60 highly unlikely for the calibration of rotation axis to change, but if you are not confident doesn't seem too hard to recalibrate rotation axis, but in this case it is optional. just how good does your pa have to be ?? 3 arcminutes of pa error is good enough for 10 min exposure at 2500mm focal length, at a dec of 70 you only get 4.5 microns of field rotation. However, I think the PoleMaster and SharpCap approach of rotating each time is less prone to concealing errors than this approach for the reasons I argue above. Also, any measurement system needs to be checked by independent means. wouldn't your first sub be an adequate "independent" measure ? no star trails, and your good to go ? I agree the PoleMaster mount for the CEM60 is not the most stable. Used to rotate on me all the time. That’s why I now use a separate ADM dovetail mount that is much more solid. I’m sure the iPolar will be fine. I am just skeptical of people who say they get 5 arcsecond accuracy in PA because the tool, whatever it is, tells them that. That’s like me saying my watch is accurate to one second a year without comparing it to some kind of atomic clock. Bottom line is that with the PoleMaster or the SharpCap method, you don’t have to rely on the camera remaining exactly stable between uses, as long as it’s stable during use. In fact, I remove mine after use each time. With the iPolar, you assume it does. Not saying it’s a big deal, but it is a consideration. I’m thinking you could probably use this with the SharpCap PA tool, much as I use my PoleMaster with it. Since I already do that, I don’t plan to retrofit my CEM60 with it. I might be interested in it for a new mount, though. Edited by johnsoda, 31 March 2019 - 08:14 AM. Edited by suvowner, 31 March 2019 - 12:04 AM. I’ve never been concerned about field rotation. Field drift is my primary concern. Is there a similiar tool that calculates field drift? I replaced the two flimsy screws that come with the Polemaster with four Allen head screws from the hardware store. Now the camera mounting is very solid and doesn’t move at all. I keep the camera mounted all the time so I can reuse the previous calibration, which makes alignment faster! For what's it's worth I believe that the origin of the pole master came from ioptron's chief technical guy. This ipolar appears a refinement of the original concept. I'm curious to know just how much of a view of polaris you need or don't need to have. Am I correct in assuming that you need to have a view to the north that may or may not include Polars? The manual mentions plate solving. 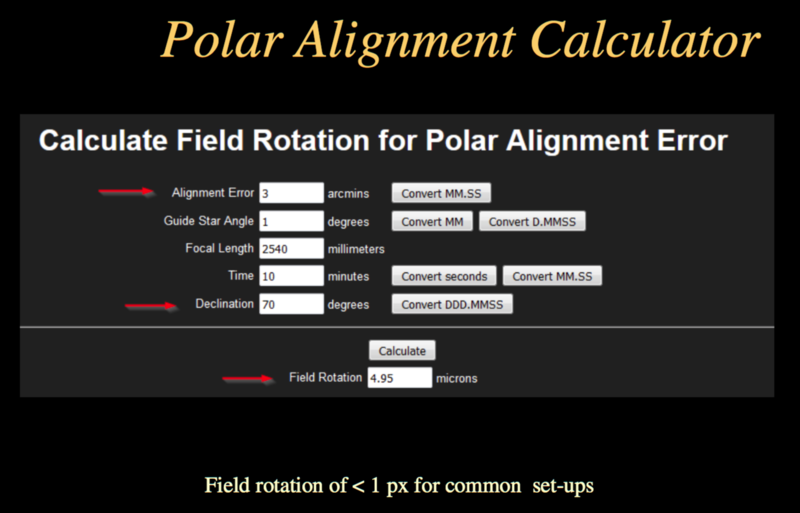 Anyone know if it will plate solve on another region of the sky for polar alignment? Edited by SDTopensied, 17 April 2019 - 10:11 PM.